Practice, practice & practice reading – till you can enjoy reading a good book, or read up on all required work materials. For some, audio reading solutions can help in improving their reading capabilities. Gain your writing independence – find the right writing assistive solutions. Keep up to date of new technologies/inventions – the technological world is leapfrogging. Today having computer access is quite easy, and the internet provides a direct route to knowledge of all new findings and developments for dyslexics. Keep up to date of these changes/developments as you may one day find that these new innovations may dramatically change the quality of your life. Know when is the right time to "divulge" your dyslexia – Dyslexia is not a disease, but there are quite a few misconceptions that people have about dyslexia. Raising an "I Have Dyslexia Flag" it not always in your best interest. 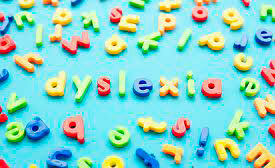 Fine-tune your detection capabilities to determine when is the best time to share with others your "dyslexic" condition. Learn your strengths – People with dyslexia are not the worlds' most accomplished readers and writers. 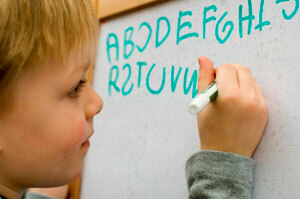 In a world focused on the written word, dyslexics have a major disadvantage. However, dyslexics usually boast of high intelligence and "big-picture" / strategic thinking. Learn your strengths, as these must be leveraged in your real-life struggles to compete with those common non-dyslexics. Never ever ever give up – You must always believe in your abilities and to quote the famous Charlie Brown – simply "Never ever ever give up". The world is full of people who have lost because they simply gave up. But we the dyslexics, who have been struggling more or less from elementary school, are trained for the struggle. We have been trained for disappointments and the ability to overcome these disappointments. We are the ones who shall teach the others to "Never Ever Ever Give Up".